Happy National Scrapbook Day everyone! I'm excited to be celebrating this amazing hobby today and sharing some inspiration! I love any design that features circles or stars, so when I saw Bea Valint's layout in the Winter 2016 issue of SCT with the fun circle of stars, I was in scrapbook heaven! Tip: I used circle punched papers and layered die cuts to form my circle and added button embellishments for texture. I typed a block of journaling inside the circle, and let the two photos overlap the lower right edge as well. I few tiny punched butterflies were added outside the circle, and I die cut a script word for my title, giving the circle a nice base to rest upon. Hope you enjoy reading the SCT blog today and are inspired to create something to celebrate! Each hour our wonderful partners are joining us to celebrate this day and to celebrate you! This hour we have prizes from our sweet friends at Stampin' Up! and BoBunny! We’re so excited to celebrate iNSD with all of you! And what is a celebration without a few prizes, right!? One lucky reader will receive a pack of 12”x 12” Succulent Garden Designer Series Paper, the Labeler Alphabet Photopolymer Stamp Set (and a clear acrylic block to use it) and a Basic Black Archival Stampin’ Pad. We hope you have fun creating memories and documenting them! Happy interNational Scrapbook Day from BoBunny! Be inspired with one of our three brand new lines! 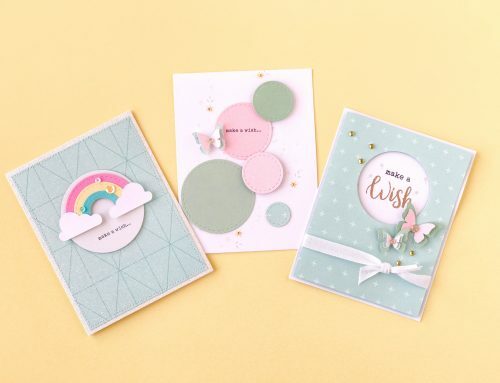 One lucky winner will receive the Serendipity collection along with an assortment of coordinating embellishments and essential crafting supplies! Thank you so much Stampin' Up! and BoBunny for an amazing prize package this hour! For an opportunity to win each hour's prizes, be sure to leave a comment below by Saturday, May 13th! Winners will be announced on May 15th. Good luck! Thank you for joining us today! Be sure to join us each hour until 6:00pm today for inspiration, tips and techniques from our team and of course PRIZES! If you’re just joining us, welcome and be sure to start at the very beginning for our 8:00 am challenge! Once again the circle layout is the best. That is new and refreshing. I LOVE your circle layout! Everything about it it just perfect. Happy NSD! Love that circle layout– the colors are great. Thanks for the chance to win great prizes. Great use of patterned papers – love the circles and that script die!! The circle layout was great, just perfect and the prizes are also wonderful! I love this page layout! So creative and fun! Getting inspiration like this is one of the great things about International Scrapbooking Day!!! And prizes like these from Stampin Up and BoBunny are another!! What a great way to celebrate the wonderful blessing of paper crafting! ❤️ ❤️ ❤️ this amazing layout! More great prizes this hour! TFS! What fantastic layouts! Love how you used so many different pattern paper on them. We all have so many scraps in our stash; this is a generously way to use up paper scraps. Thank you for the idea and for the amazing prizes from your wonderful sponsors. Love the look of this layout!! Great use of scraps too!! Great take on a circle layout, absolutely beautiful! More circles! I love this idea. Going to have to try it. Great layouts! We’re all looking for ways to use up those scraps we hoard! More awesome prizes too! Amazing! Love this layout! I’m going to have to try to circle one. I have a lot of scrap paper! Loved that layouts. I love the circle of shapes connected by sewing. Circles strike again! Love them! Thanks for the inspiration and the chance to win such great prizes today! What a lovely layout!! This is such a great design! The circle layout for fun embellishments is great! Lots of possibilities here! Thanks for so much cool inspiration today! Lisa and I have the same stache! Great ideas. Love the Circle layout – thanks for the creative ideas and the awesome prizes! Oh this is nice, love the layouts and the colours. Thanks for the ideas and inspiration. Also thank you to Stampin’ Up! and BoBunny for the chance to win these great prizes. WOW!! How cool are these layouts!!! Loving today and all the awesome inspiration….thanks for a chance to win!! I really like both layouts. And the circle theme I have seen a few times today makes me want to use them next time when I scrapbook. I love Lisa’s layout design. What an impressive way to document her happy marriage. Lots of fun inspiration. Thanks! Always love beautiful Bobunny florals! Fun pages, Lisa and Bea!! So much detail and so many patterns – fantastic! I love this layout. Is it ok if I scraplift? It is beautiful and unique! Fun layouts and fab prizes! wow…I totally love BOTH of these layouts! Amazing work! Happy iNSD to ya all. Those prizes look like fun too. Thank you Stampin’ Up! and Bo Bunny for your generous prizes! Love those layouts! 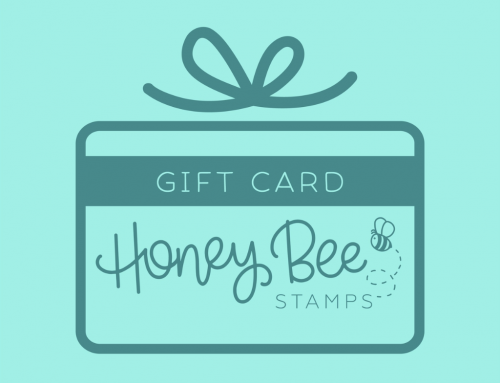 Thank you for the chance to win great prizes, Stampin Up and Bo Bunny. Beautiful layouts and lovely ideas! Thanks for the chance to win some great prizes! Love the circles! Fabulous prizes from 2 fabulous sponsors. Thanks for a chance to win. Circle layout is so cute! Stampin’ Up is a long-time favorite of mine! I’ve never had the opportunity to try BoBunny. The products look very pretty. Thanks to these two companies for being a part of all the fun today! The circle layout looks amazing! The Stampin Up Succulent Garden paper is my favourite. I would love to win the Stampin’ Up and BoBunny prize packages. Thank you for the chance to win! These are great prizes, thanks for the opportunity to win. The prizes are really something, Thank you!!! Love the frame of circles. Great design. Thank you Stampin Up and Bo Bunny. oooh, love BoBunny & Stampin’ Up!! and always love circles, great layouts! I love both layouts. Thanks for all the ideas today. The prizes are also a bonus. I like to stitch on pages and love how you brought that into both of these pages together with circles and stars. Love all the great ideas we’ve been getting today. Can’t beat the prizes either!! Really love the circles within circle idea that you did! The circle of stars by Bea was so fun, too! I am thinking of more shapes that could be placed in a circle…thanks for the inspiration! Would love to win some BoBunny and Stampin’ Up!!!! Love how you went from stars in the inspiration to circles in your own. Awesome pages. I love the way Lisa took the inspiration and made it her own. I also love the giveaways. Thanks for the chance. Love that layout. Love all the inspiration you are giving us. Great inspiration! Thanks for the great prizes and the chance to win them. Both these pages are beautiful! Definitely lifting this lovely design. Happy iNSD! The original LO and Lisa’s take on it are gorgeous. Thanks for the inspiration! I love these layouts. Great inspiration for a scrap lift. Going to try this right now! Love the circles do love BoBunny! Love your interpretation much better than the original. This is one I have to try! I’m lovin’ these circle layouts. Love using up my scraps. Thanks for the chance to win prizes from wonderful vendors. Very nice layouts…love the circle punch as elements for a layout page! My kinda style of scrapbooking…# love paper and stampinup products! The circles are my favorite!! Thanks for all the inspiration! Both Stampin Up and Bo Bunny are such great companies! I am loving all of these layouts today! So inspiring. Those layouts are STUNNING! Thank you for sharing! Thanks BoBunny and Stampin’ Up for the generous prizes. Love your use of color and selection of paper and pattern used in creating your circle layout. Love those circles!!! What a wonderful and special layout!!! That’s why we do this—to remember and document the special times!!! Thanks for the inspritation and the chance at 2 more amazing prizes!!! Happy NSD everyone! What beautiful layouts. I so love the circles. Thank you for the chance to win some great prizes. Really enjoyed the layouts! I love white on white and splashes of color here and there. The circle of circles draw attention to the pictures! Yay! To Stampin Up and Bo Bunny! Nice gifts! Just love circles in layouts! And having circles in a circle is double the fun! Awesome job on your design. Thank you for the opportunity to win great prizes. Cute pictures & one of the best layouts ever–love it! Wonderful prizes this hour! Such a neat layout with the star!!! OMG I am so loving that Together LO with all the circles Lisa….well done! Great layouts; I love the ideas!!! Love the layouts, but I like the circle one the best. Thank you sponsors for your giveaways. Gotta use some circles in my projects! Thanks Stampin’ Up and BoBunny for the generous prizes offerings. Soo clever ideas! Thank you for the inpirations! What a fun idea…I’m going to have to try this one too! Oh wow, beautiful layout and lovely journaling too! Oh what awesome prizes! Thanks to Stampin’ Up! and BoBunny for the chance to win these great prizes! Love this layout, great giveaway! Nice circle designs – very different. Thanks Bo Bunny! Such a beautiful layout! Love BoBunny & StampinUp! Thanks for all the inspiration! Cute design, and fantastic prizes! Love your layout Lisa (and Bea’s too). Thank you SCT and sponsors for your support. This page is so pretty love that it is used for an anniversary and congrats on twelve years. But love the way you could do this for any layout or even a card. Thanks for sharing. Love the circles and the prizes! How fun is that circle? Amazing page!! I love both Lisa & Bea – great layouts. Very artistic and inspirational pages. These prizes are great. Quick get me a circle punch! I love this layout and the prizes. Thanks for a chance to win! Why does anything with circles always looks so cool?!!!! Love these layouts! Thanks to the sponsors too for great prizes! Great layouts. Thanks for the fun idea. Love those stars! Neat idea. I wish I had a sewing machine to try it out! Awesome giveaway! My favorite element: circle die cuts and circle page layout. Also love bobunny products and kits #happy scrapbooking day! The typewritter journaling is on point. I hate my own writting this will do the trick! These layouts have me itching to create! Thanks for the inspiration and prizes. Gorgeous layouts of circles and stars. Great for those scraps that you just can’t part with for the stars. Hope I remember to do those strip circles…. they are a favorite. Love both layouts. Love those goodies as well. Love, love, love your beautiful layout, Lisa. Love all the pretty circles you created. Another STELLAR layout by the fantastic Lisa D! Thanks to SU and Bo Bunny for awesome prizes for iNSD! So fun to have a chance to win. Thanks SCT! I would have not known what to do with this pattern but now that I have seen how you put it together, I want some! I’m a saver of my left over scraps. Always looking for new ways to use them. These are perfect ideas! Such a cute page! A lot of you guys used circles today! Looks great! Awesome prizes from awesome sponsors! Bo Bunny papers are so pretty 🙂 incidentally, serendipity is one of my favorite words, so here’s to serendipity! 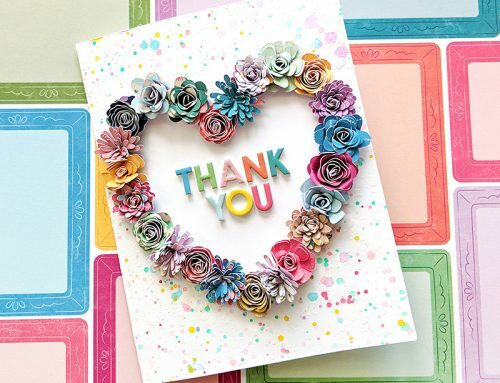 I love this love out – the layered circles are lovely and adaptable to any layout/card.Great giveaway. Happy NSD! Super awesome layout and great prizes! Loving the blog inspiration today! oh my gosh, this is my favorite layout and I really want to try this! There are some flower stickers that would be perfect for this…thank you for the inspiration!!! Also, so excited for the Bo Bunny prize, I haven’t bought from them in a while. Love the layout you created Lisa and yes Bea’s layout is fabulous as well ! Love the circles on the layout. Great way to use up scraps. Prizes are awesome. Oh my, such an awesome layout–love all the details of the design. Thanks to Stampin’up and BoBunny for the great prize package! Circles on circles. Great idea. Love the circular design of these layouts! What a fun page with the strips of paper to make stars. What a fun use of circles and stitching on the other. Oh I love this! I suppose you typed your journaling with a typewriter that fits a 12×12 page?? I want one!! Fabulous! Awesome prizes! Thank you so much once again SCT for the chance to win! Fabulous layout and awesome prizes. Thanks! Circles are in! I am seriously digging out my circle punch. Great inspiration today. You also can’t go wrong with anything Stampin’ Up or Bo Bunny! Thanks for great prizes. Stampin’ Up! and BoBunny, thanks much for the wonderful prize! I don’t usually play favourites, but I have to say this layout is my fave so far! I love that star page how creative! Love the star layout. How fun, would be perfect for so many things. Awesome layout Cathy! Thanks for sharing! I really love the circles! Pinned for later. Love both your layout and the inspiration one! My mind is going ’round in circles, loving these layouts, feeling INSPIRED! Love the circles. Thanks for a chance to win. I love both of these layouts. I want to copy them immediately. circles or stars… I don’t know.. I love the “together” layout. So simple but dramatic. Thanks for the chance to win. Great take on Bea’s layout, Lisa! Loving the prizes! Thank you Stampin’ Up! And Bo Bunny! WOW! I love Bea’s use of paper strips to make stars, and Lisa’s take on her layout is gorgeous!! Also Bo Bunny & Stampin’ Up! are two of my very favorite things! Happy iNSD! I love, love, love the use of circles and stars on these layouts. Thanks for sharing some really gorgeous inspiration with us! Both those layouts are awesome! Thanks for the chance to win those fabulous goodies from BoBunny and Stampin’Up! Love these layouts! The stars are so fun and the circles are elegant. Great ideas!! Such a lovely layout by Lisa! And it’s certainly not hard to be inspired by anything that Bea Valint creates. She’s amazing! Great prizes! Wow! I love the circle design with the different patterned papers in the background. Talk about a double, double, and I don’t mean coffee.! Stampin Up and Bo Bunny! More fantastic companies and dynamic products! Would love to win either of them! Love all the projects today incorporating circles, Lisa’s layout is beautiful! OH wow!!! What an spectacular layout Lisa created!!! I love how she interpreted her inspiration piece!!! Beautiful layout,I love the circle. Wow so much amazing inspiration all in one day!!! SCT you are really out doing yourself! Love these wreath like page designs. Fabulous prizes by Bo Bunny and Stampin’ Up too! I love the circles. Very sweet! I love the layout – what a great way to celebrate a marriage! Another beautiful layout! I love the detail added to the circles with the paper strips and buttons. I love how spring-y the colors are of these lines! A perfect match for this time of year. Thanks for the chance to win! Love the stars layout, could see using paper with rulers on it for a growing child. Great inspiration! Thank you to Stampin’ Up! and BoBunny for a chance to win great prizes. Great idea to use scraps to make circles. Clean and simple design. Great prizes, again. I really like that circle layout. I am definitely going to try one like this. I might do it with butterflies though – great inspirations. Love the look of the circular layouts! I’ve never done one, but see it in my future! Thank you for sharing. Great layouts! Love the circle and star wreaths! Awesome event! Great prizes! What lovely colours love the bo bunny packages and stampin up . Thanks SCT. I’ve got to try this circle layout! It’s great! Thanks for the inspiration! Beautiful layout! Thanks for the chance to win. Love the layout and I love all the pretty paper in this prize!! Thanks SCT Stampin Up and Bo Bunny for all this goodness! I may have to scraplift these ones myself! Love these color combos. The Bounty collection is just beautiful! Thanks for the chance to win! Love that circle layout! What wonderful sponsors and prizes! Love the large circles, such a fun idea!! Oohh!!! Two of my favorite companies!!! What could be better!!?? Your page was gorgeous, Lisa! Obsessed with the circle layout! Prizes aren’t bad either! Great layouts and they are giving me so many ideas to use up hoarded paper scraps! 😀 lol Big thanks to Stampin’ Up! and Bo Bunny too! You all are fabulous! What fun layouts and fabulous prizes! These would be awesome!! I love all the inspiration today! I really like the way Bea did the stars in her layout too! Super fun! Thanks for the chance at winning some goodies! Love the circle concept – what a good use of scraps and way to focus on just a couple of photos. Such great layouts! I really have to remember to ‘use more circles’! Thanks! I like both the stars and the circles for this circular layout. another great prize ??? I Made a LO that reminds me of this one yesterday. Will post on your page ?? WOW another great giveaway! I love the circles as embellishments around the photos. I love the layout and I really love the typed journalling on the layout! The circular frame is fabulous and to add the stitching for some extra visual awesomeness is even better! Such a creative way to use the circle layout. Thank you for the inspiration. Thank you for the chance to win! Love the circle layout. What great uses for scrap paper!! Thank you for chance to win this hour! This is just brilliant! Different inspiration for using circles or stars! Love, love, love the circle design in this LO! You are pulling out all the stops today! Thank you for the awesome inspiration! I love the circles! How fun! Thanks for the inspiration. Love circle LOs and really love both the inspiration one by Bea with those cute stars and yours with the sweet blossoms and circles all stitched down. The scattered butterflies and the dainty buttons give it such romantic look. Congrats on your 12th anniversary! I think I broke my sewing machine! Now I gotta get it fixed! These pages are so much fun! oh I love those stars!!! so fun! and Lisa’s is simply stunning! loving the new Bo Bunny Serendipity line…. Seriously digging the stars and I am lifting the anniversary layout. Great inspiration! 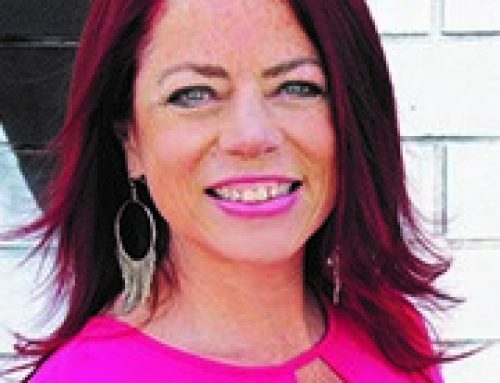 Stampin Up and BoBunny are some of my favourite product developers. Love the circle of circles! Thanks for the prizes this hour too! Fun layouts, love the stitching and details! Thanks for the inspiration and giveaways. Love the circle layout! Stitching really adds to it! Everything from BoBunny is so pretty. Love it! I love all of the projects. Thanks for the chance to win and for having the nice prizes. Awesome details on these pretty pages! And prizes from Stampin’ Up and BoBunny… fabulous! Love the circles. Thank you for the opportunity to win such great prizes from Stampin’ Up and BoBunny. thanks for sharing some wonderful pages. VERY cool pages! I love the circle of stars in the first one, especially since some of the stars look a bit like hearts. And that second beauty is one I want to save to use as inspiration later: who knew you could make so many different, yet coordinated pretty circles? Darling layouts. LOVE the circles and stars. Refreshing! Love these layouts! The stars give more breathing room, and the circles just bring everything together. Awesome! Great prizes! I would love to give them a nice home to come to. Thanks to Stampin’ Up and BoBunny! This is wonderful! Thank you for the opportunity to win! Love those circles and the double stitching on the layout!! Wonderful inspiration! Thanks for a chance to win! This is so simple but elegant. Love that you used circles to frame the picture. Love all the great ideas! I’ve got so much to try out! Haha! And thanks for the opportunity to enter for some amazing prizes! Love the simple flowers in the circle layout, it gives it that little something extra. More great prizes from two of my favorites! AND so much NSD fun and awesome giveaways. Thanks so much! What fantastic layouts and many thanks to the generous sponsors. Great idea for the stars…must try with ribbon. Circles again! Love them! Thanks! Great layout. Love all those circles. Love the circle layout. So cute! Very cool look created by using the patterned paper. The layouts are so creative!! I just love them all! Thanks for more chances to win. Wow! Stampin’ Up! and Bo Bunny are two of my favorite companies! Another wonderful prize pack! Love the use of the shapes to frame the focal in those layouts. Love the stars especially! Love the way the circle was used! Beautiful! Love the circle layout. I would never have thought of this and cant wait to give it a try. Thanks for the inspiration. Beautiful! Thank you for the chance to win. I love that scrapbook page, so beautiful! And yes lovely gifts! So much wonderful inspiration. I see a theme here with all the circles, love it! Wow, both layouts are stunning! Loving those stars and circles. Thankful for such awesome sponsors too! Thank you for the inspiration. Thank you Bo Bunny and Stampin’ Up for some great prizes. Very inspiring for my own anniversary layout. 10 years for us. Thank you SCT, Stampin’ Up and BoBunny for your generosity and making this all possible. Cute pages! I love those rings! Beautiful layouts! Thanks to SU and BoBunny for these great prizes!! really great idea for pattern papers! thanks for the chance to win! The circles really frames the photos. Fun page with the circles – going to try that one! Thanks for great prizes. Love the frame created with circles. I love all the Bo Bunny collections. Love, love the use of small pieces of paper and lots of room to see the pictures. Loving the collection of stuff from Stampin up! The Bobunny paper is lovely as well. Thanks for the chance to win! How fun are those stars?!! I love these cute and fun layouts and all the giveaways. Lisa, I love your circle layout. What a great way to use up scraps of coordinating papers! Great prizes too! love the sewing effect on the embellishment, gives extra texture to the layout. Happy NSD 2017 and thank you to the generous sponsors! Love those stars…what a great way to utilize scraps!! Love the layout with the circles! Great idea! and fabulous prizes! I always love Lisa’s pages! This one is awesome as usual! Great giveaway too! The circle wreath certainly pulls in the photos into a delightful focal point on this layout! Love the circle layout. Will be lifting that in the future. Fabulous prizes this hour and thanks for the chance to win. Thanks for the inspiration and for the chance at these prizes! Love the stitching on these layouts! And I’m drooling over all these giveaways! Great layout. I love the use of circles. Love the design of the circle layout. Love the layout with the stars, such a great way to use up all those paper strips. I am going to CASE both layouts. Beautiful artwork here and the products to win are awesome. Thanks for the chance to win. Any of it. Thank you for this fun contest! Oh love this – what a great layout and awesome way to use smaller scraps left over from a collection! Great inclusion of buttons! Love the design. Thanks for sharing. Love the layout and the prizes, awesome! What beautiful layouts! 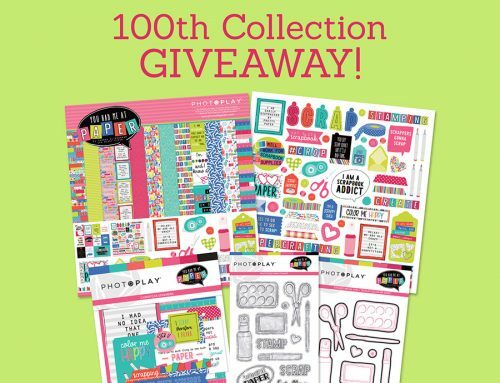 I would love to win either prize from Stampin’ Up! or BoBunny. Thank you for the opportunity to win. Love, love, love this prize package. I would be thrilled to win any of them. I really like the circles on the scrapbook layout and I do believe I may steal that idea! Lovely layouts. My favorite has to be the one with the stars. That one gave me the idea of a way to use those little barcode strips on pattern paper. lovely layouts! Thank you so much for the inspiration and the opportunity to win! Beautiful layout by Lisa and definitely going to give that one a try! Two of my favs this hour – Bo Bunny and Stamping Up – Thank you for being so generous! Thanks SCT! This is adorable! What adhesive did you use to keep embellishments on the stitching? I can never get things to stay on top of stitching like that. Beautiful layouts! Stampin Up and BoBunny! yay! Crossing my fingers! That layout is AMAZING. I just pinned it to try my hand at my own version for our anniversary. Great circle layout! Thanks for sharing some great ideas!